Today, 50 years after the Seiko Quartz Astron ushered in the quartz revolution, the enduring popularity, ubiquity and versatility of this remarkable technology have all been proven beyond any expectation. The Quartz Astron changed the way the world told time, astonishing people with its accuracy of +5 to -5 seconds per month. It also shaped the whole future of the electronics industry as several of its inventions, including the tuning fork shaped quartz oscillator, are still used in an extraordinary range of horological and non-horological devices alike, from clocks to personal computers to mobile phones. 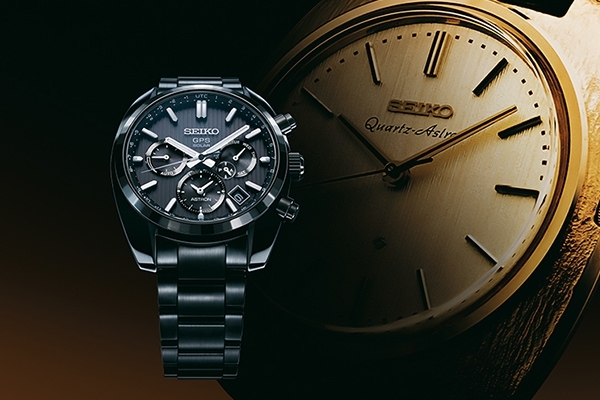 It is no exaggeration to say that, since 1969, Seiko’s quartz technology has touched the lives of nearly all mankind and continues to play a central role in our ever-changing modern world. Now, a new Astron GPS Solar 5X series pays homage to the uniqueness of the first Quartz Astron of 50 years ago in both its design and in its technological advancement. The watch that began a revolution that continues to this day. The GPS Solar 5X caliber. 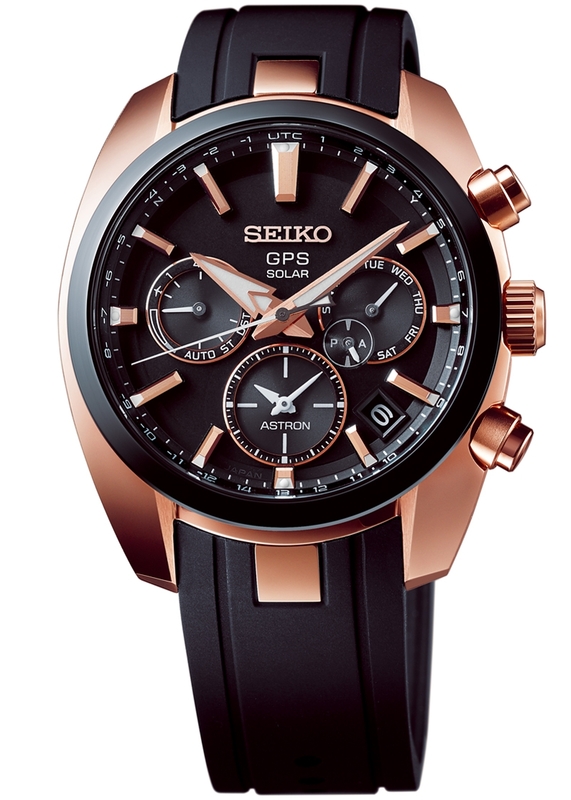 A technological achievement that adds new luster to the celebrated name Astron. Since its launch seven years ago, Astron GPS Solar has taken the art of electronic watchmaking to new heights. With its accuracy of one second every 100,000 years, its ability to connect to the GPS network using just the power of light and its automatic adjustment to every time zone* on earth, Astron GPS Solar has found great favor with international travelers and lovers of high precision watchmaking alike. Today, the Astron GPS Solar collection includes Chronograph, Dual-Time, World-Time and Big-Date versions and the 5X53 Dual-Time that powers this new series adds yet further breadth and refinement to this remarkable range. Caliber 5X connects up to twice a day to the GPSnetwork to maintain its precision*, it adjusts automatically to Daylight Saving Time** and, when the wearer changes time zone, he or she simply pushes a button and the hands move faster than ever to the correct local time, thanks to the system that moves the hour, minute, and seconds hands independently. In addition, Caliber 5X even gives the wearer the ability to change the main time display instantly from home to local time and vice versa. More than ever before, Astron GPS Solar is the perfect watch for the international traveler. 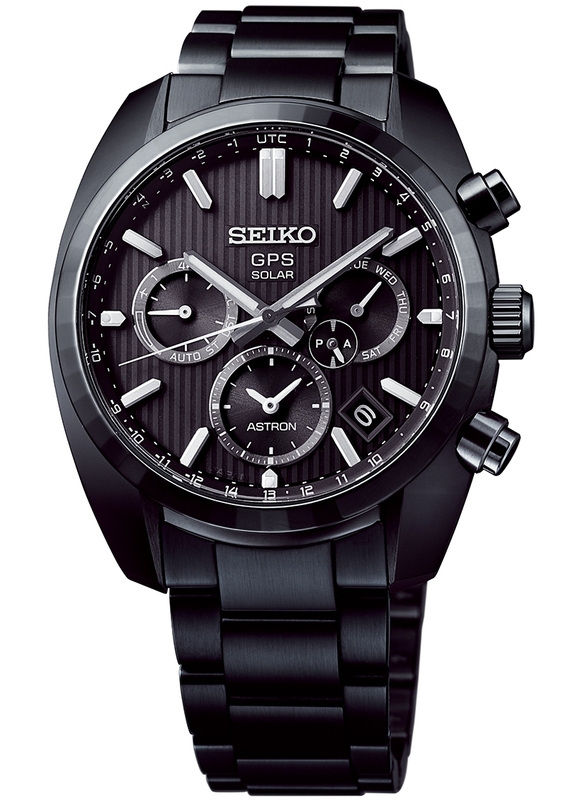 When the watch dial perceives sunlight, the watch connects to the GPS satellite network and adjusts automatically to the correct time. 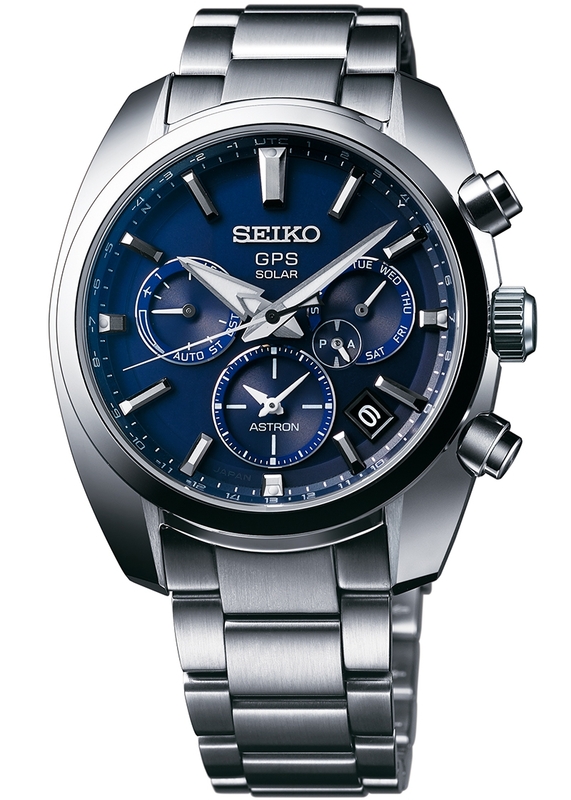 If the watch is hidden from light, it remembers the time of its last successful manual connection and attempts to receive the GPS signal again at that same time. In design as in technological advancement, 1969 meets 2019. The new series shares several aspects of the design of the celebrated 1969 Quartz Astron. The case has the same curved silhouette case, the same wider case lugs and a similarly thin bezel. While paying due respect to its heritage, the new design also has a modernity that speaks of the advanced technology within. The increased power of the GPS module allows the use of steel in place of ceramic for the bezel and the watch delivers increased performance while nevertheless being smaller and slimmer than ever. The new collection comprises four creations, including one limited edition which has a black case and bracelet and a zirconia ceramic bezel whose fifty facets commemorate the anniversary of the Quartz Astron, as do the quartz crystal shaped hands and markers. All four versions will be available in September 2019. 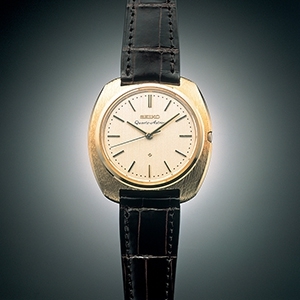 Seiko’s 1969 achievement opened the door to five decades that brought precision timekeeping within the reach of all and that have contributed to the lasting popularity of the wristwatch as the world’s preferred way to tell the time. 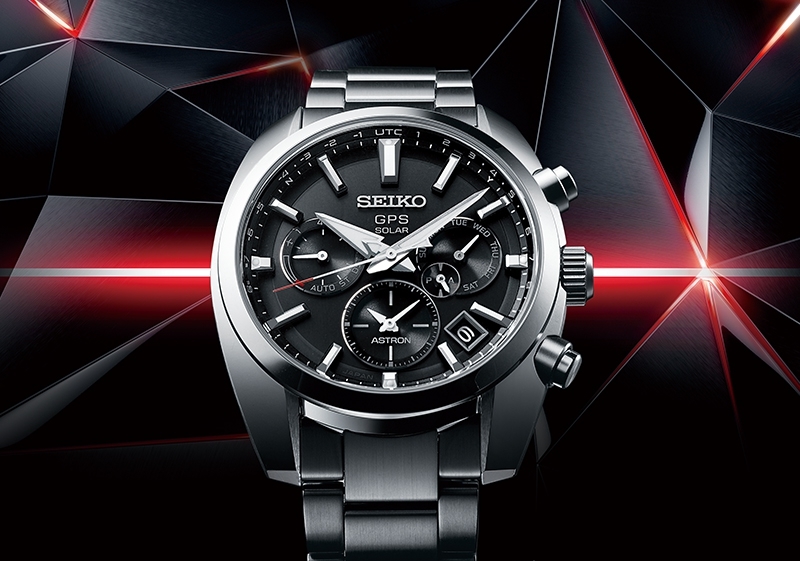 With the continuing development of Seiko’s GPSSolar technology and with this new design series that is slimmer and easier to use than ever, the revolution that started half a century ago continues, with, as ever, Astron at the forefront. 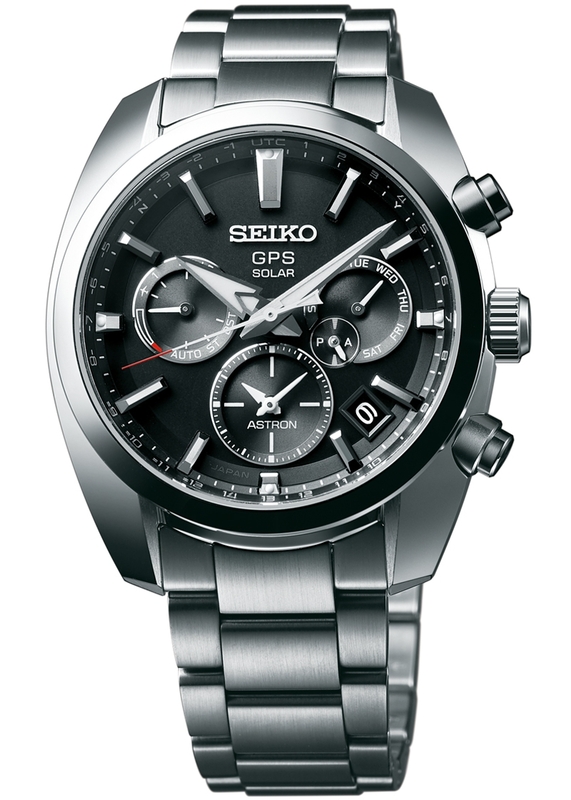 Stainless steel case and bracelet with super-hard black coating.